Most likely you are using www.example.com as your normal website. 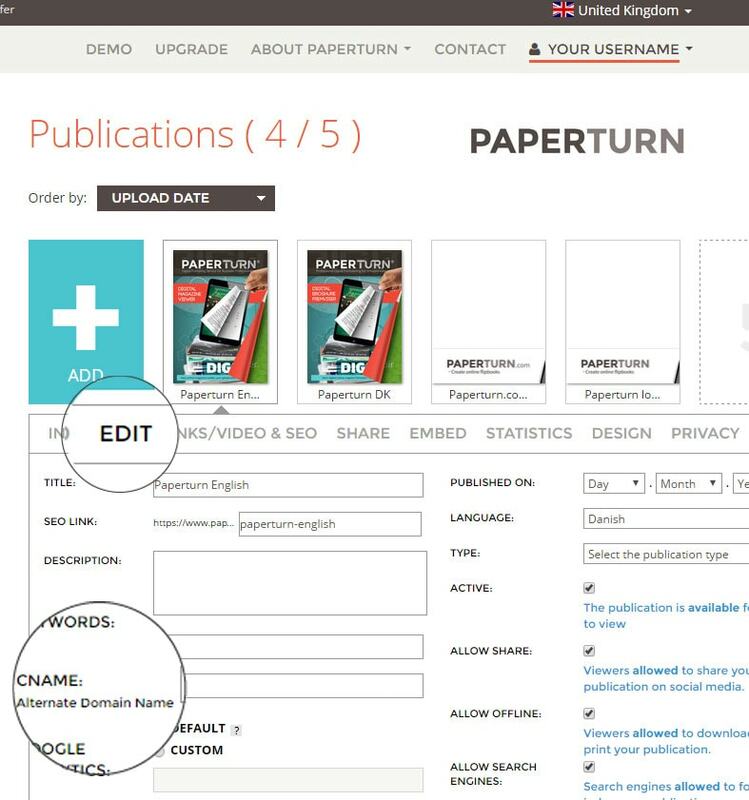 You should then create a CNAME called publication.example.com, brochure.example.com or whatever you prefer. Afterwards please login to paperturn.com, go to one of your flipbooks and click "Edit".